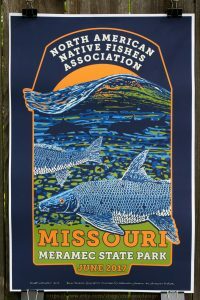 I was asked to design the t-shirt for this year’s annual meeting of the North American Native Fishes Association in Missouri (June 8-13, 2017, Meramec State Park). The first batch of orders has shipped! 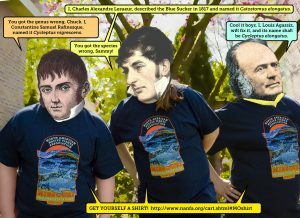 To order a shirt (or a bunch of them): http://www.nanfa.org/cart.shtml#MOshirt (all proceeds go to NANFA, not me). They come in M, L, XL, XXL and XXXL. 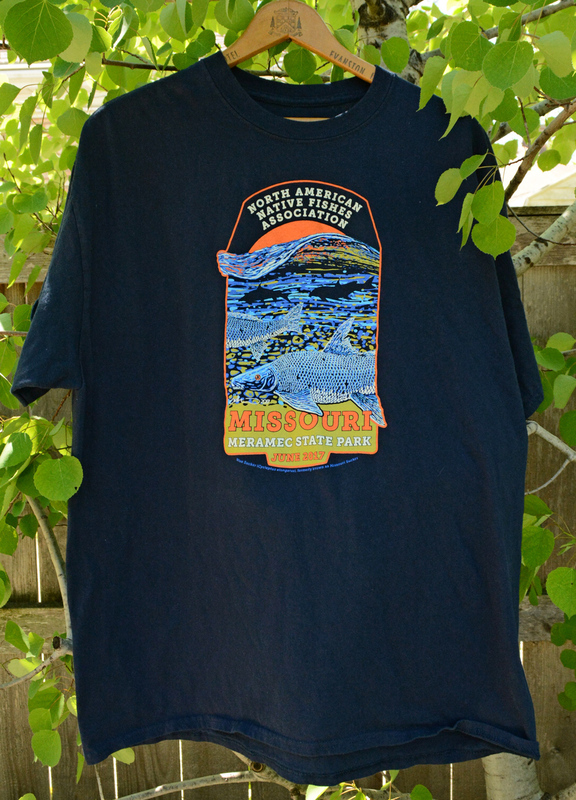 $25 each ($30 for XXL and XXXL) and shipping is $5 for any quantity. 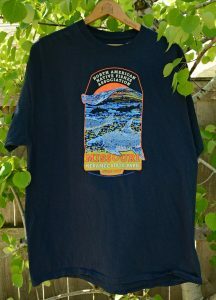 Assuming there are any left, they will also be for sale at the convention. 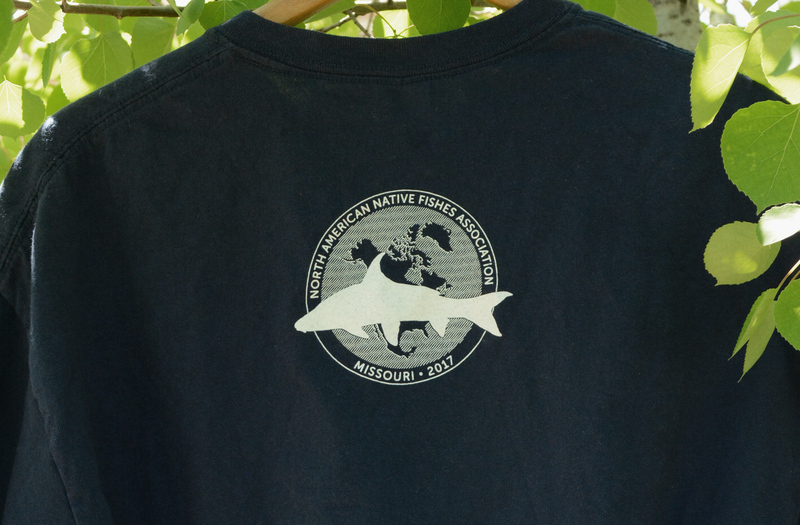 Shirts are 100% cotton. 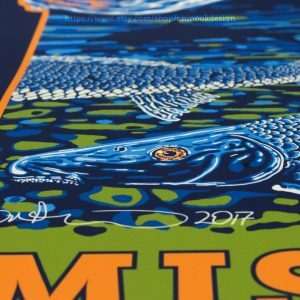 Image is silkscreened, so these will last a long time. 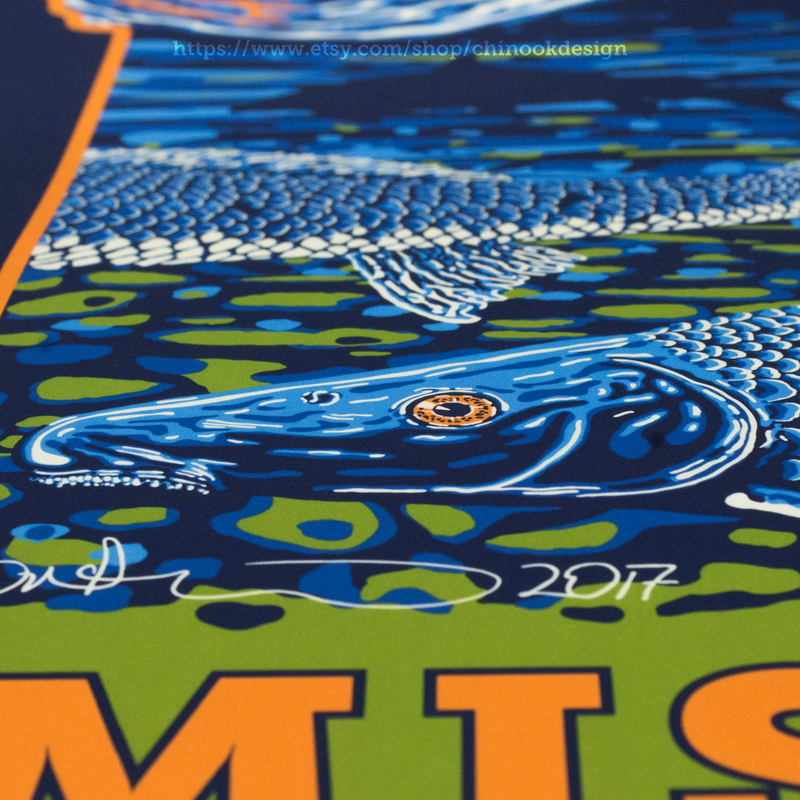 I chose the species for several reasons, including the obvious and incontrovertible fact that it is among the very coolest of North America’s native fishes. 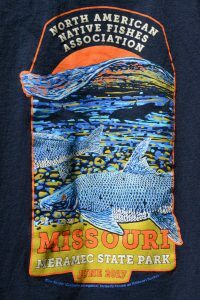 Aside from that, it’s a fitting choice because it was almost always known in the literature as the Missouri Sucker (until the 1920s: see my article on the history of its names on this very site or in the winter 2015 issue of American Currents). 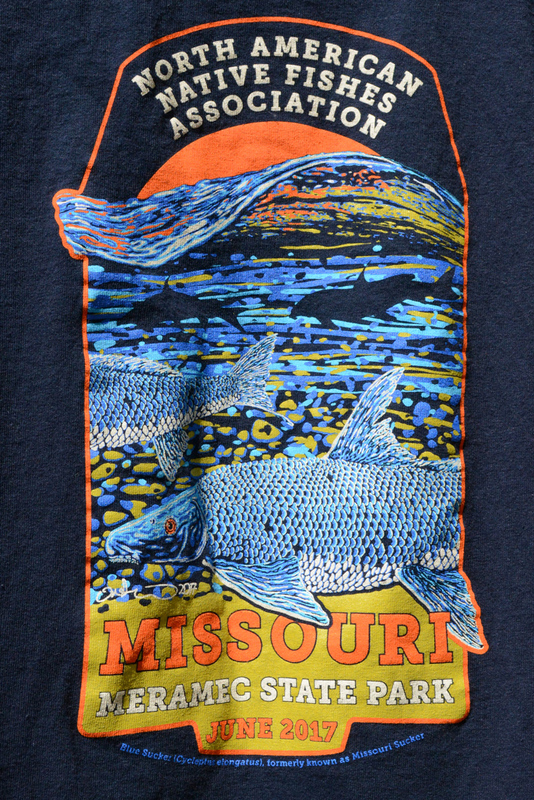 It is a big river fish that’s perfect for a big river state like MO, home to the two longest rivers on the continent. Finally, I thought it could use more attention, as it’s a little-known but historically and biologically important native species that’s not been treated well by the modern world. 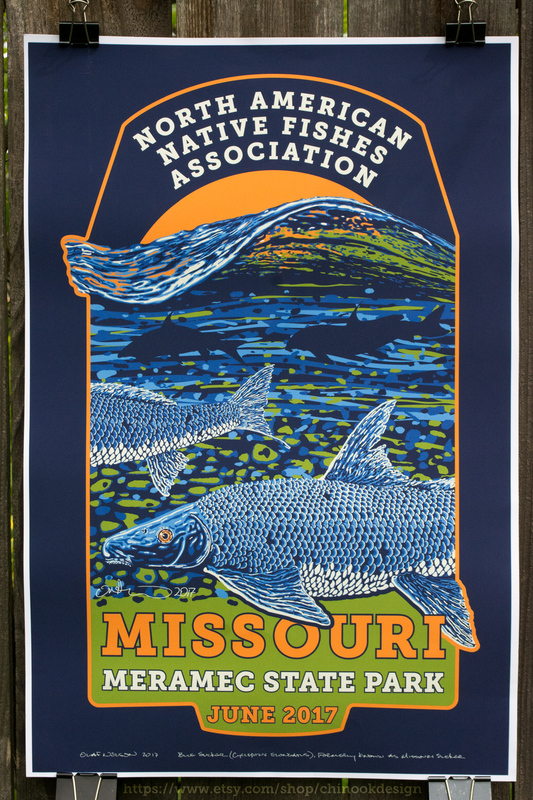 I based the two main fish on photos I took while electrofishing the Wisconsin River with NANFA member John Lyons of the Wisconsin DNR and members of his staff (see the story and lots of photos). 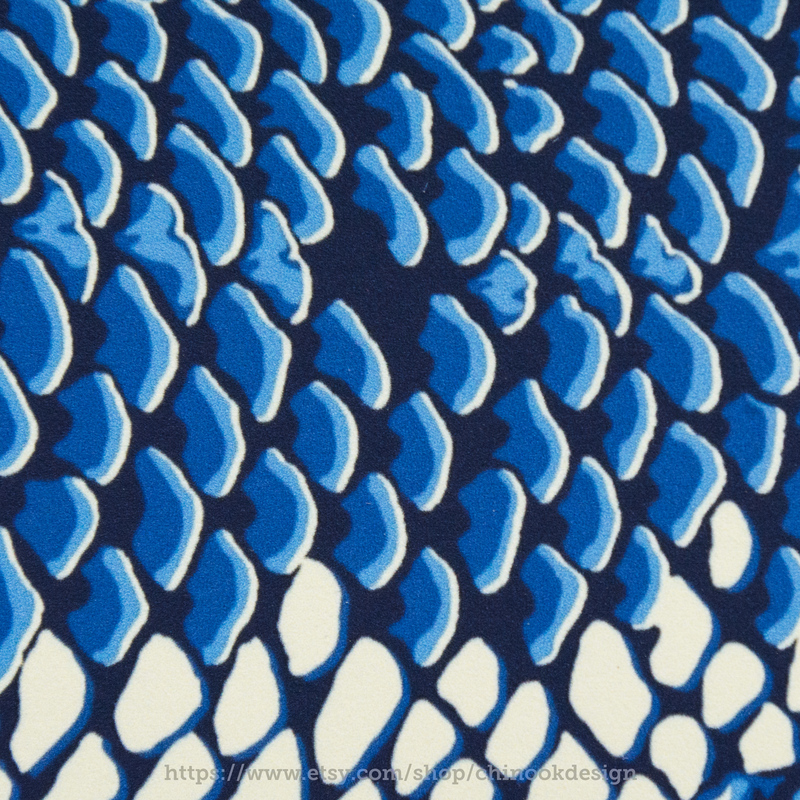 The two silhouettes are based on early Blue Sucker drawings (below). On the left is an 1884 illustration (by HL Todd) of a specimen in the Smithsonian. This drawing was copied and re-used in most publications after that, basically becoming the standard image until replaced by photos in the mid-20th century. The skinny, funny-looking one is based on the earliest image of a Blue Sucker that exists, as far as I can tell. 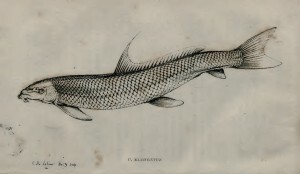 It was drawn by LeSueur and published with his original description of the species (as Catostomus elongatus) in 1817. 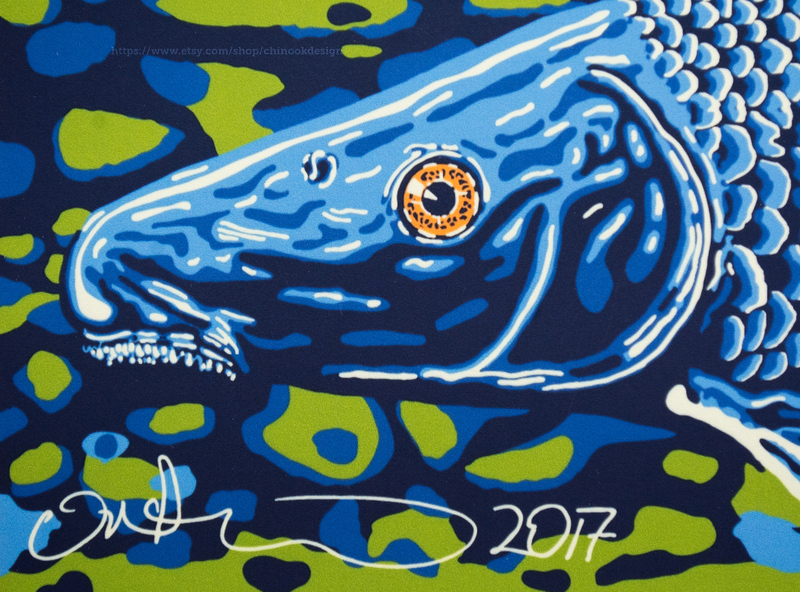 As he was looking at a dried specimen, his drawing does not look much like a Blue Sucker. I included it for its historical importance. 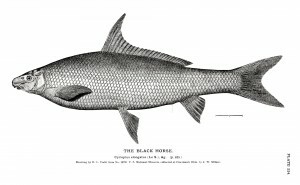 H. L. Todd’s 1884 Cycleptus illustration. LeSueur’s 1817 illustration of a Blue Sucker, which he called Catostomus elongatus. 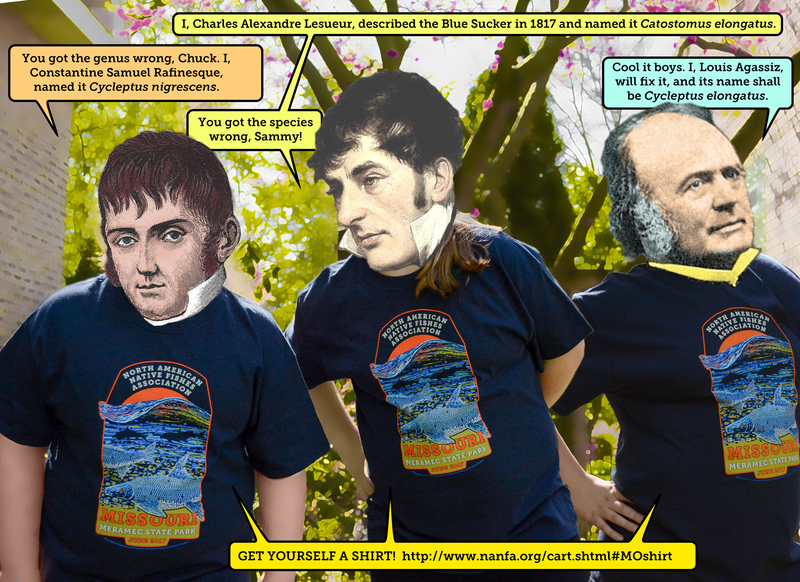 Famous biologists agree: you need a shirt. 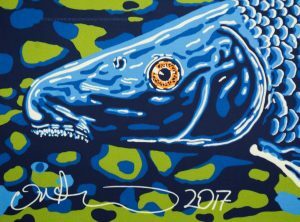 Tagged art, blue sucker, cycleptus, missouri, NANFA, suckers.